Want to be a model? Then join the Solo Online Model Search. Check out the mechanics below. 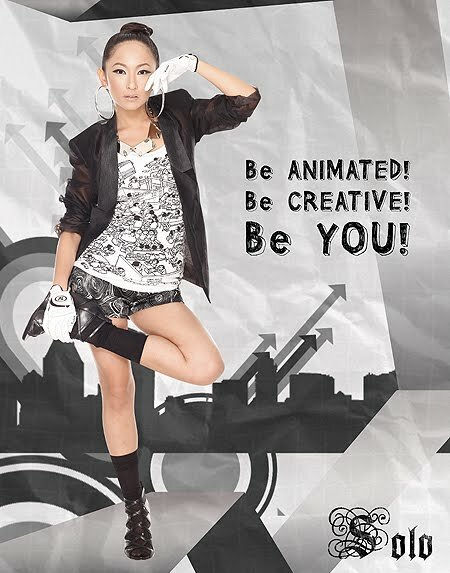 Contestant can be an individual or a team which consists of a model and a graphic artist/photographer. Doesn’t have a modeling contract/endorsement contract with a clothing line or competing label. Entries must be submitted between August 22, 2010 to October 31, 2010. Voting ends November 15. Buy any Larry Alcala apparel from SOLO. Wear the Larry Alcala garment in your photo entry. You may mix other pieces of clothing, but no apparent/visible/noticeable branding of other labels. Innovation/Alteration is allowed but the majority of the print should stay intact. Props to show personality is allowed. Full face of the model should be visible. Be creative. Model is encouraged to showcase his/her modeling talent. One or several of the supplied design element from the vectors packet which can be download from the Mechanics page may be part of your submission. Embed the Solo logo in your entry. All Larry Alcala vectors, images and design elements may NOT be used outside this contest. Anyone who registers in the website may vote. Voters may leave comments for each entry, but will be subject to approval by web manager. Derogatory remarks are not allowed. Deadline for submission of entries is on October 31, 2010; Voting ends November 15. Winning submission will be featured in Solo in-store wall photos nationwide and on the Solo website in 2011. Winning photos may also be used in other marketing materials. Winning models may be asked to do a separate photoshoot. -Model for Winning Male Photo Entry. -Photographer/Graphic Artist for Winning Male Photo Entry. -Photographer/Graphic Artist for Winning Female Photo Entry. Both Model winners will receive P 20,000 in cash and P 15,000 Solo Gift Cerfticates each and both Graphic Artist/Photographer winners will receive P 10,000 cash and P 15,000 Solo Gift Cerfticates. Should an individual wins, he/she will receive both prizes for winning model and winning graphic artist/photographer. Entries not complying with the contest rules are subject to disqualification without prior warning.